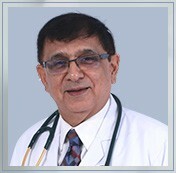 Dr. Rajeev Kackar is currently associated with Regency Hospital as a Sr. Consultant Pulmonary & Critical Care, Sleep Medicine. He also has an experience of Bronchoscopy at AIIMS (Delhi).